Loss of muscle is an inevitable consequence of aging that can lead to frailty, falls or mobility problems. Eating enough protein is one way to remedy it, but it would seem that spreading protein equally among the three daily meals could be linked to greater mass and muscle strength in the elderly. These are the findings of a study conducted at the Research Institute of the McGill University Health Centre (RI-MUHC) in collaboration with the Université de Sherbrooke and the Université de Montréal. 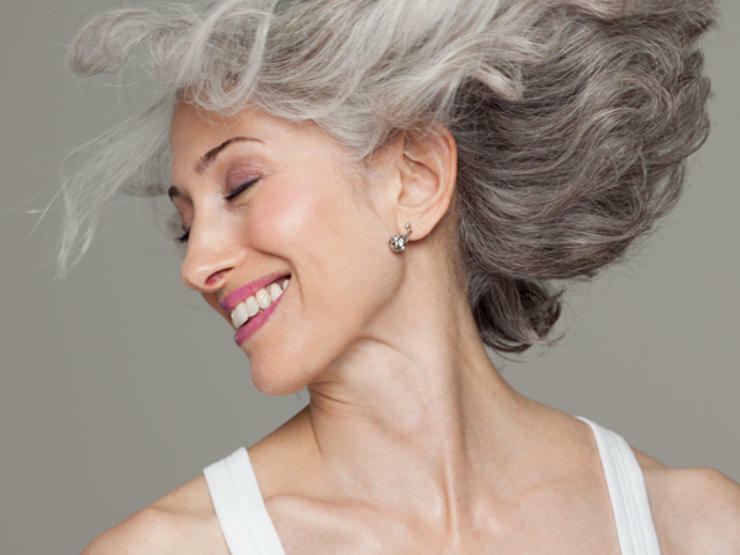 While aging is inevitable, physical decrepitude is not. Many of the outwards signs of growing old can be slowed – and life may even be prolonged – by maintaining a sensible approach to diet. Aim at consuming a balanced diet that is rich in fiber. Ensure your diet is 60 to 65 per cent carbohydrate content – that is, fruits, vegetables , breads, pastas and rice. Of this amount, 55 per cent should be in the form of complex carbohydrates and whole-grain products, and no more than 10 per cent from simple carbohydrates (cakes etc.). Complement this with a diet that is 20 to 30 per cent fat content, and finally balance off your diet with 15 per cent protein content – that is, meats, soy and dairy products. It is important to note that, although protein deficiency plays a role in the development of osteoporosis, too much protein can also promote bone loss. So it is imperative to get the correct amount of protein and avoid eating protein in excess. A healthy, balanced diet will help you maintain a healthy body composition and weight and provide you with the nutrients for optimal health and functioning. Those aged 60 and older should try to get the recommended 20 to 35 grams of fiber each day by consuming a minimum of two servings of fruit, three servings of vegetables and four servings of whole-grains. But you should avoid increasing your fiber intake to great amounts than these listed, because too much fiber can exacerbate existing impairment of the gastrointestinal tract. Try to avoid spicy foods if you suffer from gastrointestinal problems, and this may also help prevent hot flashes. Drink more water. Did you know that 50 to 60 per cent of our total body weight is water? Water is our life force. Common complaints like headaches, lack of energy, tired and lethargic sensations, injuries, hot flashes and achy joints and muscles have seen to be associated with dehydration. If most women would commit to drinking eight glasses of water every day they would notice a great improvement in their overall health and energy. Think of it this way: Every tissue, cell, organ and system is composed of water and functions optimally only in the presence of adequate water levels. Degeneration associated with aging will occur at a quicker rate if you are dehydrated. And you can’t use thirst to help you determine when you should be drinking water, because as you age your thirst mechanism does not function as well as it should. Consume five small meals and snacks throughout the day. 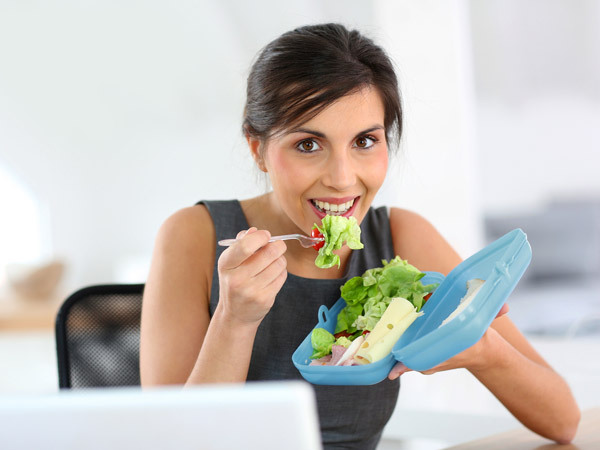 Many women who do not eat breakfast and consume only a very light lunch are tricked into believing that they are reducing their caloric intake when, in fact, they are setting themselves up for a snacking binge in the late afternoon, followed by an overload at dinner and into the evening. The result is just the opposite of what you intend. Total calories consumed during the day will end up being higher rather than lower! And the scale gives you the bad news that you are gaining weight. Your metabolism, the rate at which you burn calories for internal functions, is like an engine – the more often you give it fuel, the better it works. When you deprive your body of food, even for short down to preserve energy. A slowed metabolism makes it much more difficult to lose weight and much easier to gain weight. A diet that is not consistent in calorie and nutrient intake will also lead to a more rapid loss of muscle tissue, which we want to avoid at all costs. The good news is that you can get your body to work for you instead of against you. The rule should be that you do not go any longer than four hours during the daytime without eating something. 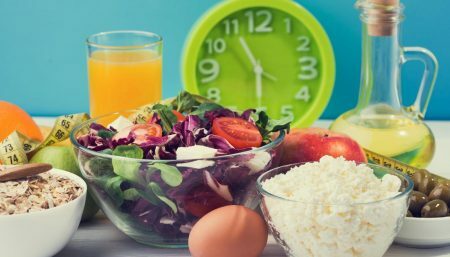 Most of us have been conditioned to believe that dinner should be the largest meal of the day, so changing your eating patterns is not going to be easy. It will not happen overnight. You will probably have to change other old habits. Reduce fat Intake. Dietary fat is very easily converted to body fat, so controlling your fat intake is important in controlling the weight gain associated with ageing. Limit any food choices that are higher than 30 per cent fat content. Items such as lard, animal shortening, oils, butterfat, whole-milk solids, shortening and margarine all are fats. Fried foods – saturated in fat and oil and calories! Go for wholesome, fresh foods as the staples in your diet. They will always be higher in nutrients and lower in fat. Processed foods should only complement a diet that is rich in fresh fruits, vegetables and whole wheat grains. Fat is an amazing fuel that provides us with a limitless amount of energy. Instead of hating fat and blaming it for all our problems, we should be astounded and respect it for its outstanding capabilities. Certain fatty acids are also necessary for good health, and some fat-soluble vitamins require fat for absorption into the system. Fat also helps to keep us insulated and warm. Elderly persons who havelost weight due to reduced appetite need to consume a moderate amount of dietary fat to maintain a healthy weight . Unsaturated fats, especially the monounsaturated ones, are considered healthier; they are found in nuts, seeds, vegetable oils and soft margarine products. 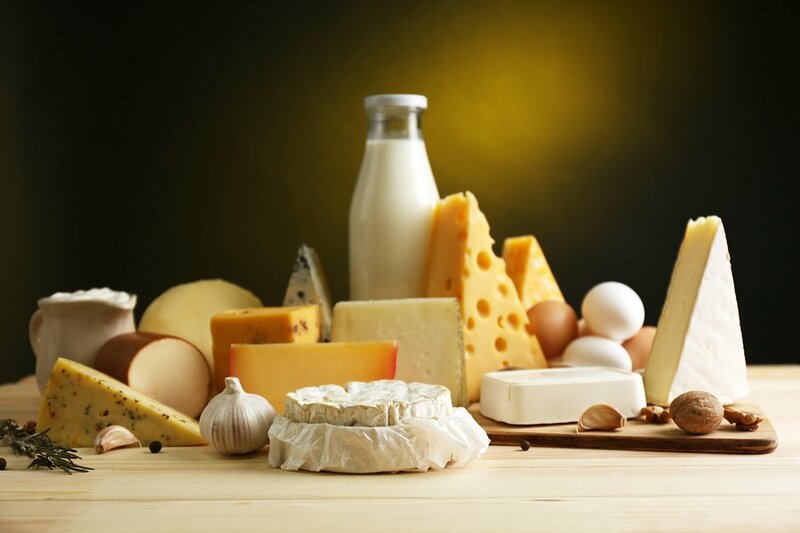 Saturated fats are found in animal products such as beef, butter, dairy products and lard; they tend to raise blood cholesterol levels, thereby increasing increasing risk of heart disease. Be cautious in consuming coconut or palm oils; these are vegetable oils, but they contain a large amount of saturated fat. Reduce salt and sugar intake. 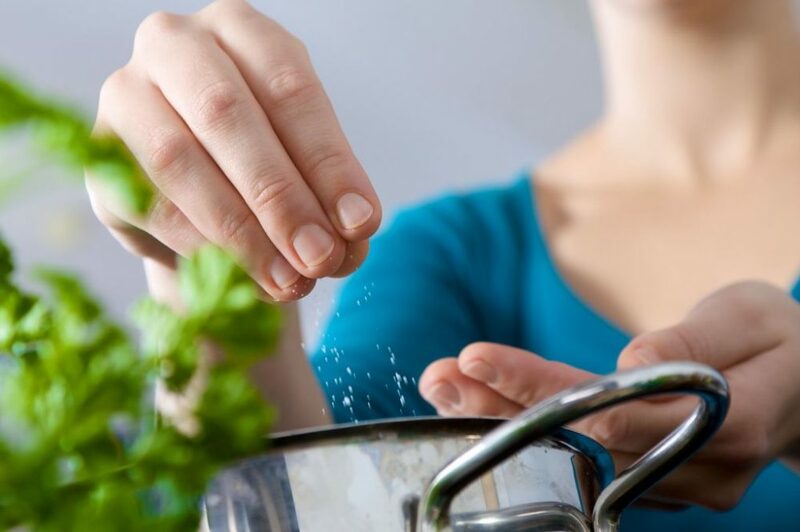 By controlling your salt and sugar intake, you can reduce the risk of developing hypertension and adult-onset diabetes. Do away with the salt shaker; there is enough salt in most of the foods we eat without our adding more. If you want to boost taste of certain foods, use salt-free spices such as basil, oregano or pepper. When it comes to watching your sugar intake, choose products with a sugar content that is less than 10 per cent of the total carbohydrate content. It’s important to avoid items such as cakes, cookies and ice cream. Alsolimit your intake of no-fat or low-fat products. You are probably thinking, ” What? Limit no-fat foods? ” What do you think makes no-fat products taste so goods? Sugar, and lots of it. And what do you think sugar is? A lot of calories! Excess calories, are going to show up on our hips and thighs and abs. This is why or population continues to get fatter and fatter in spite of the explosion of no-fat products onto the market. Avoid caffeine, alcohol, cigarettes and other drugs. These types of drugs will age you quickly. A high intake of caffeine, alcohol and nicotine inhibits the absorption of of calcium into bone and speeds up the process of bone loss. Smoking is associated with a 60 per cent increase in eye damage, an early onset of menopause and an increased risk of cancer and liver and heart disease. Alcohol contributes to high blood pressure and breast cancer, and it damages your liver. Although alcohol is low in fat content, it is very high in empty calories. It also activates an enzyme that takes up fat from our bloodstream and stores it in fat cells. Therefore, any food you consume in combination with alcohol is more likely to end up in a fat-storage deposit areas like the hips, thighs and abs. Alcohol also lowers our inhibitions, making us more likely to make poorer food choices. Control your portion sizes: If at the end of the day you have eaten excess calories from any source, you will store these calories as fat. This, of course, will affect the ageing process. Let’s say you consume an extra 1,000 carbohydrate calories in the form of plain pasta. It takes about 23 per cent of these calories to break down the dietary carbohydrate and store it as body fat, so 770 of the 1,000 extra carbohydrate calories will be stored as body fat. Now, let’s say you consume an extra 1,000 fat calories in the form of creams. It takes about three per cent of these calories to break down the dietary fat and store it as body fat, so 970 of the 1,000 extra fat calories will be stored as body fat. It is better to have a diet richer in carbohydrates than in fat, because less of the excess will be stored as body fat, but you gain weight whether your diet is low in fat or not. If your diet contains more calories than you expend in a day, you will gain weight regardless of the source of the calories. You must pay attention to your portion sizes no matter what you’re eating. We live in a society that is hooked on super-sizing everything from shakes and fries and cookies to muffins and bagels and restaurant entrees. For many of us, it may not be that our food choices are poor but that we are eating too much. Lay Emphasis on minimal consumption of processed foods. While eating out , always order the smaller portion size where there’s choice. At the same time, Try eating from a smaller plate or bowl. Split meals with a friend when dining out – for example, order one salad and on e entree between you and share. Always drink a glass of water before any meal. Pay attention to serving sizes listed on labels. Sometimes what is listed as one serving is unrealistically small, so you may trick yourself into believing you are consuming an amount low in caloric and fat content when, in fact you are eating four times the listed serving size. For example, a box of macaroni in cheese sauce (not that this would be a particularly healthy choice) might be listed as four servings but most people would find it only enough food for two. When calculating caloric and fat content in such cases multiply the values listed on the label by two to determine whether it’s a healthy choice. Seniors can experience health problems form consuming too few calories, however. For this reason, with age we should ensure that our total caloric intake for the day does not fall below 1,200 calories. Detox one a week. Our bodies are constantly assaulted from pollution, stress, bad posture, sedentary jobs and our own bad eating habits. 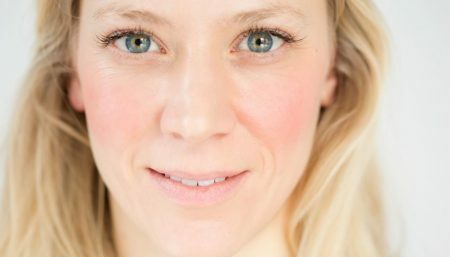 Over the months and years, the effects build up and emerge in many different forms- from skin eruptions, to headaches, ulcers, cancer and heart disease. When we detox, two things happen. 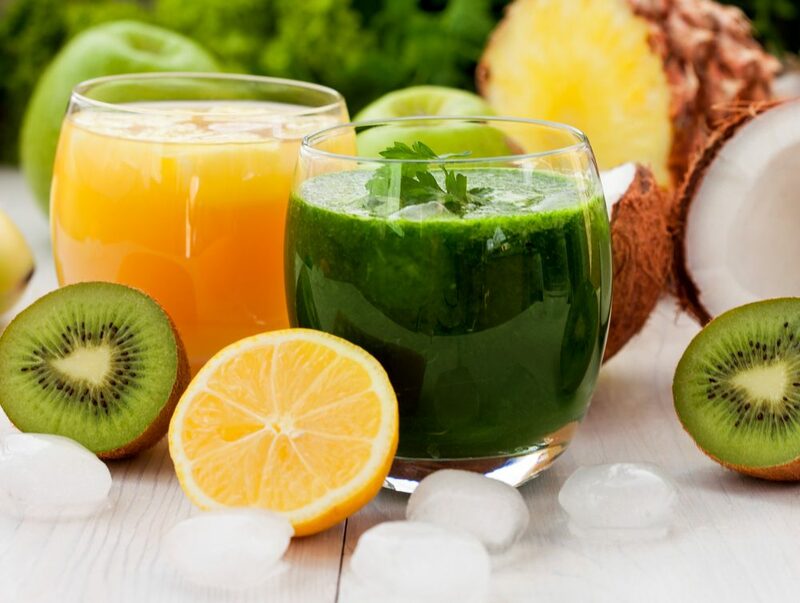 First , we stop overloading our body with harmful substances and secondly, we give it plenty of the right nutrients to actually speed up the elimination of toxins and promote cell renewal. According to WHO, Vitamins A, C and E are vital for health. These vitamins together with mineral selenium, are known as antioxidants. They can protect us not only against minor infections but also serious degenerative diseases such as cancer and heart disease, as well as conditions which come with premature ageing. 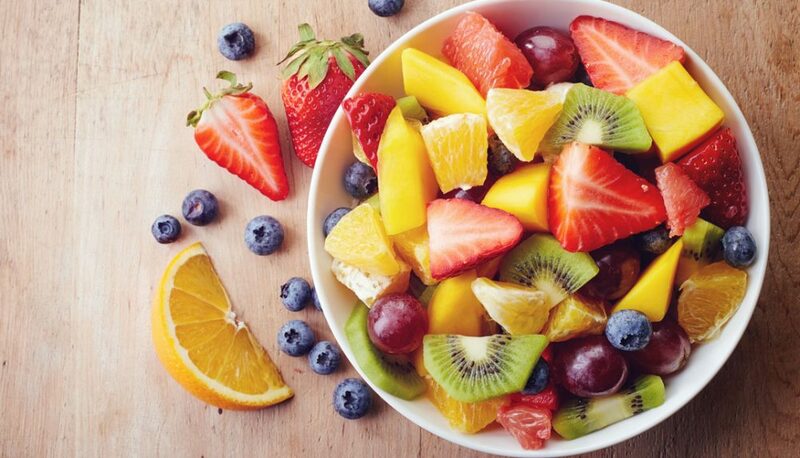 One of the best places to find anti-oxidants is in fruits and vegetables, taken raw. Check your intake of calcium. For those concerned about weight and health, the first things often cut from the diet are high-fat dairy products. But new research suggests high dairy intake may be healthier than once thought, and actually protect overweight adults from developing diabetes and heart disease(http://www.womenfitness.net/dairyintake.htm). Women aged 40 and above should consume 3-4 servings of low fat dairy food daily. Other, non-dairy sources of calcium include fortified breakfast cereals, canned fish with edible bones, some nuts, seeds and green vegetables. If calcium supplements are required, the best absorption rate is from a dose of 500-600mg of calcium once or twice daily. 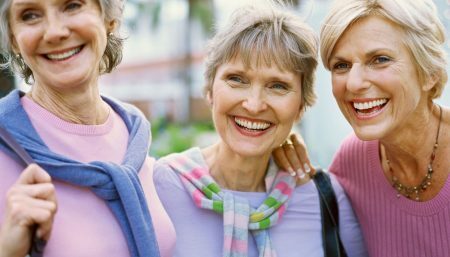 Vitamin D supplements may be necessary for elderly women with inadequate sun exposure. Experts say that the protective benefits of dairy could be explained by the fact that it is rich in healthy nutrients like protein and calcium. Healthy eating is one part of anti-ageing. The bottom line is that nutrition in combination with physical activity, is integrally related and must be addressed both by individual women and by the community to prevent disease and to maximize quality of life.